hospitality. We create a marvelous atmosphere that you can enjoy with your loved ones. 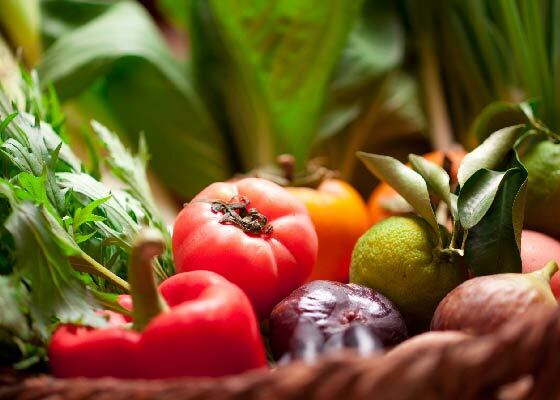 herbs and tree-ripened fruits, we ensure the maximum flavor from each ingredient. We pick them from our farm just before cooking. In addition to this, we insist on the quality of our ingredients such as homemade smoked ham and honey from the apiary. 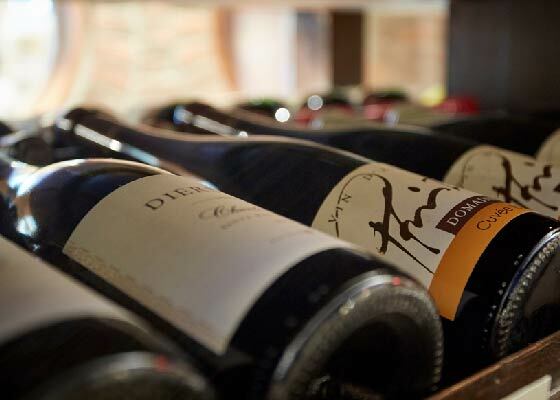 There are 150 kinds of wine imported from France and other countries in our extensive wine cave. Acquaintances and experienced sommeliers select special wines for your dinner. In accordance with your wishes, we prepare the same menu for lunch. Our chef prepares a special menu on the day. * Please reserve at least one week beforehand. Each course has the same menu, but ingredients differ depending on the course. Please contact us for more details by phone. We accept reservations than two people. Not including consumption tax and 10 % service charge. We alter the contents of the course depending on the purchase of stock on the day. We prepare a range of a la carte menus. Please let us know if you have any allergies or food-related issues.